Aging Stereotype. Many books about life after age 60 emphasizes 'how to hold onto' adulthood. Aging is viewed as a decline, a series of losses - until you reach the ultimate loss - the loss of life itself. This view of live after age 50 is an Aging Stereotype - and it mistaken. There was a time when children were seen as 'little adults'. But after Jean Piaget suggested that childhood is a special phase of human life, that it is not just 'adulthood writ small' and that children are a worthy object of scientific study, the field of child psychology burgeoned. Pick up any college catalog and you will see many courses about childhood and its various 'stages'. Basic to all these courses is the idea childhood and adulthood are very different and that moving to adulthood is the goal of human beings. Childhood is a long preparation for adulthood and providing a child with a 'good childhood experiences' will allow that child to mature into a productive and happy adult. And if an adult is not productive and happy, the 'cause' is usually assumed to be negative childhood experiences. Adulthood in much of the developed world is THE goal. Adulthood is a most important life stage. Adults make the economy work, they give birth to and rear children. They create laws, lead the nation and are generally viewed as the 'movers and doers' of society. There is nothing in adult psychology that mirrors the notion found in child psychology that this particular stage of human development is a preparation for a new and even more important stage . . . Elderhood. Instead of viewing Elderhood as the 'crowning achievement' of life, we are offered an Aging Stereotype - the stage after adulthood as a a time when life is in decline. This is The Aging Stereotype. (Note that the stage of human development that follows adulthood is called 'aging' - as though going from age 17 to age 29 is NOT aging. The Aging Stereotype describes our last stage of development as a long, slow decline - a period of losses and grieving the bygone adult powers and prestige. Such are the fundamental beliefs of the Aging Stereotype. Those who hold this view spend much energy trying to figure out how people can 'hold onto' adult characteristics and skills. At the same time they refuse Elders any of the power and prestige of adulthood - even if elders retain many of their adult skills. But I have yet to see a course on Elderhood listed in any college catalog. Oh, there are courses in gerontology and aging. And most of these concentrate on 'inevitable decline' and 'how we can help these people'. Now of course there are losses as you move to elderhood. Just as there were losses when you moved from childhood to adulthood. But somehow in the current state of things only the losses of adult tasks and powers are seen as losses that count. No one speaks of the losses children face as they move into adulthood - only those adults face when moving into Elderhood. You can not play all day. You have to go to work all the time. Children can not value what they do not know. If children were to write the textbooks about adulthood, these texts might be full of advice as to how to hold onto some of the joys and experience of childhood. Just as adults who DO write the texts about Elderhood give advice about how to 'hold onto' aspects of adulthood but offer NO INSIGHT into any of the special joys or tasks of Elderhood. So it is that we have the Aging Stereotype of 'inevitable decline'. 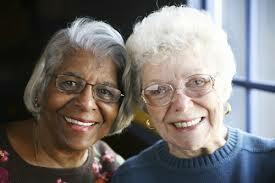 We who are elders need to read the works of other elders and we need to rethink the whole view of Aging. That is what this web site is about. I hope you will read more....and come back and read again. Comment? If you are an elder and want to offer a comment or insight into this issue, please use the form below.